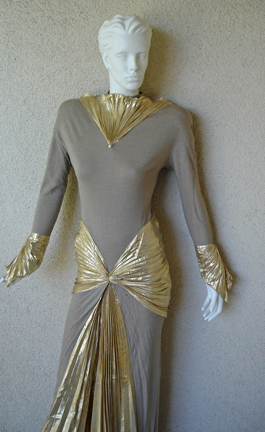 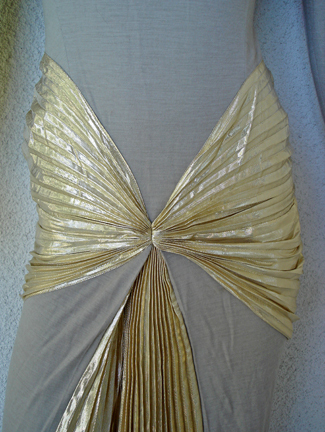 Thierry Mugler "Benitier beige" evening gown in cashmere jersey with inset panels of pleated gold lame silk. 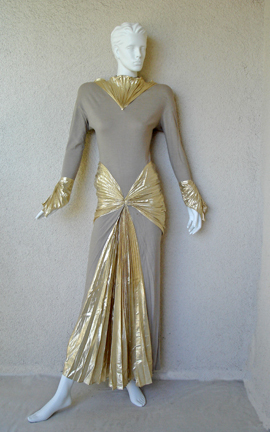 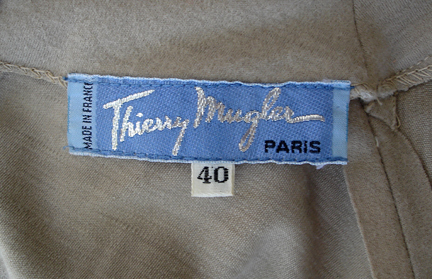 From the Fall/Winter Collection 1984-85. 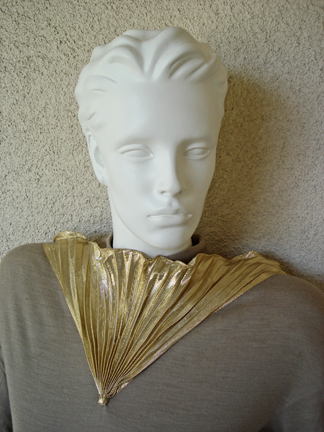 Photo with live model above is documented in the book, "Universe of Fashion - Thierry Mugler", by Francois Baudot. 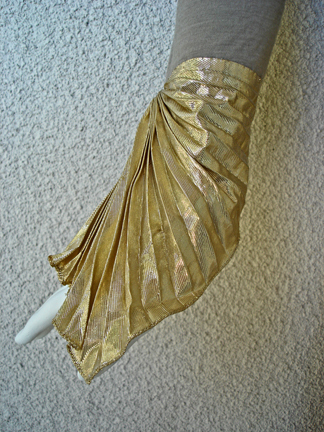 My dress is from the same collection and is more elaborate in gold lame around the neckline and sleeve wrist.